Beautiful, turn-key end unit, w/incredible wooded views from your large private deck! 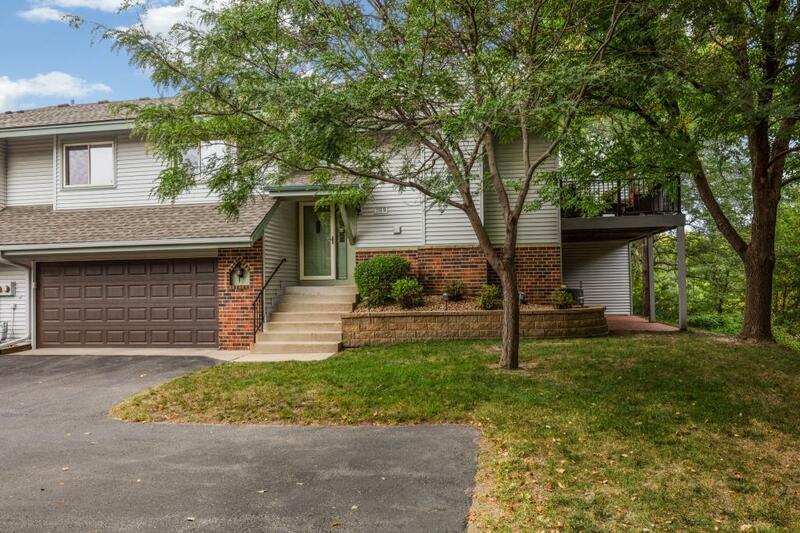 Vaulted & open kitchen w/newer, handsome laminate flooring, granite counters, and fabulous custom breakfast bar. Bright, vaulted living & dining room leading to a newly surfaced deck. Master suite with remodeled 3/4, full 2nd bath with granite counter. New windows & patio doors, newer roof & mechanicals. The full walkout lower lvl features a family rm w/fplc & built-in cabinetry. Beautiful epoxy garage floor.